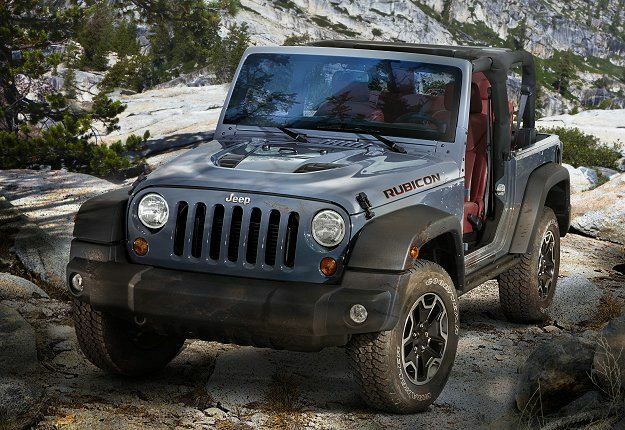 10 YEARS OF THE RUBICON: In 2013, Jeep celebrates the 10th anniversary of its Rubicon with a special-edition model of the iconic Jeep Wrangler. 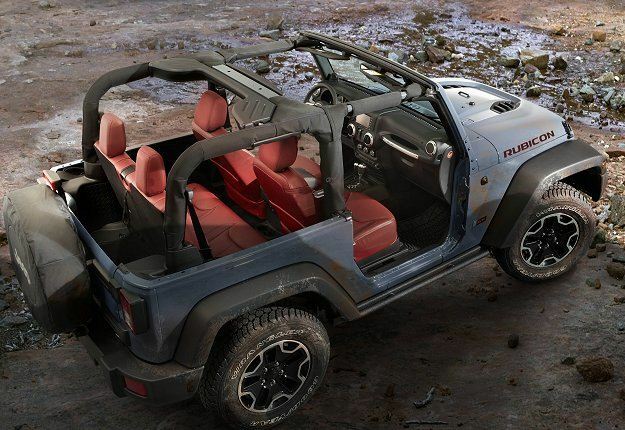 TWO-DOOR OR FOUR-DOOR: The special edition model will be available as a two-door Wrangler or four-door Wrangler Unlimited, both powered by petrol or diesel engines. 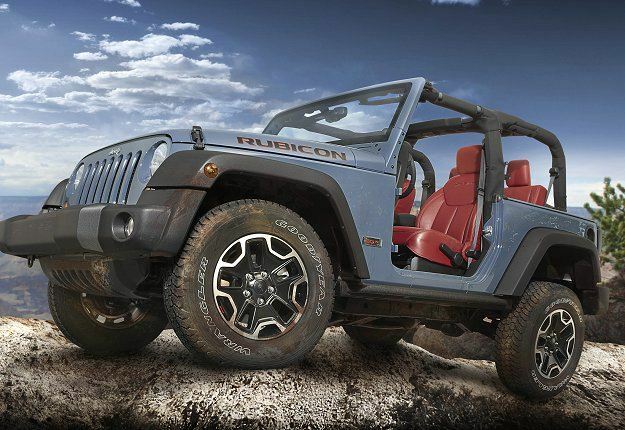 STYLE UPGRADE: The model benifits from a new dual-intake power dome and 17" Rubicon black aluminum rims with a red Jeep Wrangler logo. 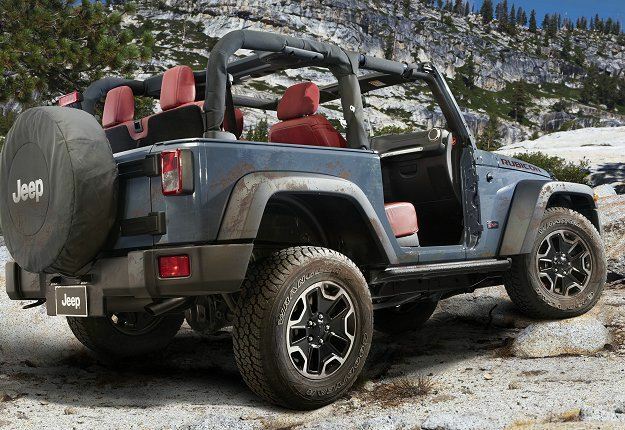 JEEP SALES SOAR: Jeep reports significant growth in 2012 both in terms of sales and brand image. The automaker boasted consistent growth in Europe, with sales growing by almost 20%. 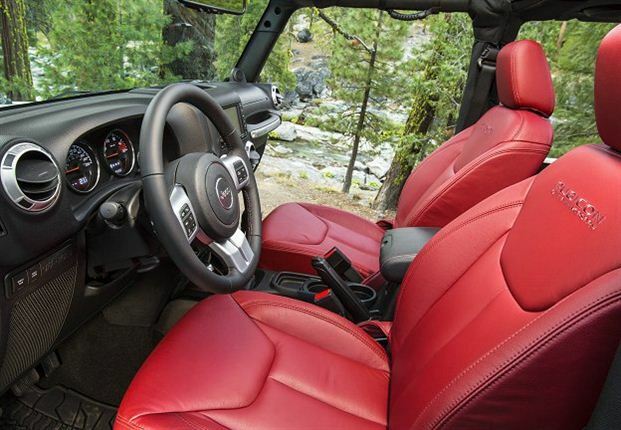 RED LEATHER CABIN: The interior has red leather seats with an embroidered Rubicon 10th Anniversary logo. Red stitching can be seen on the central console and the leather steering wheel.